Numismatic Consumer Alliance Recoveries Top $7 Million For Purchasers of Overpriced Coins | Numismatic Consumer Alliance, Inc. 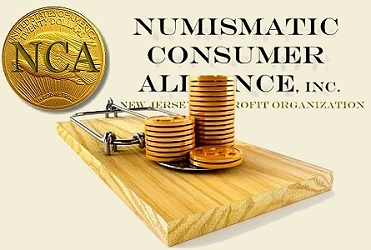 The Numismatic Consumer Alliance, Inc. (NCA) helped recover nearly $1.3 million during 2012 for buyers who fell prey to unscrupulous coin sales, according to John Albanese, founder and president of the not-for-profit watchdog organization. That brings the overall total of NCA’s recoveries to more than $7.1 million since it became operational in 2005 – an average of about a million dollars a year. During 2012, NCA intervention in 12 cases resulted in settlements totaling $1,286,295 for unwary and often unknowledgeable buyers who were induced to purchase grossly overpriced coins, Albanese said. The New Jersey-based Alliance intervenes on behalf of such buyers, obtaining legal and other professional assistance when needed, in an effort to rectify flagrant abuses in coin-related transactions and discourage repetition of such abuses. As in previous years, Albanese said, elderly consumers were among the most frequent targets of scams in 2012. In one case now pending, he said, an elderly buyer spent millions of dollars for hundreds of coins touted as good investments – and the resulting “portfolio” includes coins graded by 12 different services, most of which have little or no standing in the marketplace. Predictably, he said, many of these coins were wildly overgraded, overpriced – and often both. As of mid-April, Albanese said, more than 10 cases were pending and the dollar amount at issue exceeded $10 million. Despite NCA’s substantial – and frequently successful – recovery efforts, repeat offenders remain a serious problem, Albanese said. Scott A. Travers, author of The Coin Collector’s Survival Manual and a prominent consumer advocate, serves as NCA’s executive mediator. He said its importance is underscored by the way it has continued to shield consumers during the recent upswing in coin market activity. 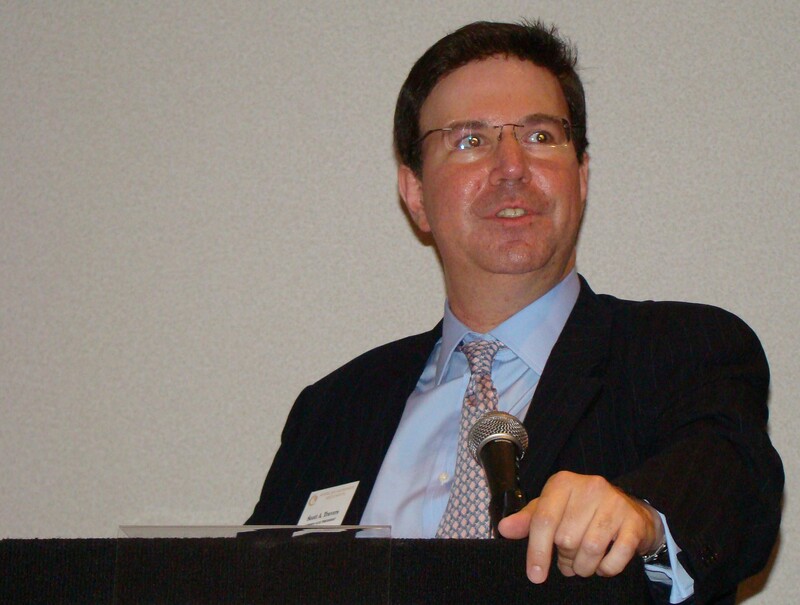 Travers works closely with judges, attorneys and other professionals chosen for their expertise in mediating and arbitrating disputes, providing them with guidance on numismatic issues as they review cases submitted to them for review. He sees this role as an extension of his consumer advocacy efforts in authoring the Survival Manual and other important numismatic books which strive to elevate awareness of the perils and pitfalls of buying and selling collectible coins. NCA seeks no compensation when it enters a case on behalf of a victimized consumer – even though it frequently incurs substantial legal bills and other expenses in the process. The funds to cover such costs are contributed by coin dealers and others who share its concern about fraud and deception by disreputable coin sellers and the harmful effects these practices can have on the marketplace as a whole. Cases involving potential abuses are referred to NCA by a number of sources, including hobby organizations, numismatic periodicals, law enforcement agencies, reputable coin dealers, and victims’ families and friends. Upon learning of such cases, Albanese said, NCA contacts the consumers to determine the validity of their claims and asks for copies of all pertinent paperwork. If it concludes that the buyers were scammed, it contacts the sellers and urges them to make restitution in order to avoid legal action. Further information about NCA is available at its Web site, www.stopcoinfraud.org.